Parents of Pre-Schoolers (P.O.P.S.) is the parent organization at Saint Anne’s Day School. All parents of Saint Anne’s students are automatically members of our organization. The P.O.P.S. mission is to connect parents and faculty at Saint Anne’s by organizing volunteers and fundraising events that benefit our school, faculty, children, and families. Funds raised by P.O.P.S. can supplement capital expenses, school maintenance costs, and tuition costs for families in need of assistance. Volunteering in our classrooms or at other school events provides an excellent opportunity for parents to engage in our community and have lots of fun. The three main fundraising events for P.O.P.S. are the Family Fest (October), the Book Fair (December), and the Spring Soirée (April). The success of all these events derives from the time, energy, and enthusiasm of our parent volunteers. Saint Anne’s Family Fest is a fall festival held one Friday afternoon in October that is planned by the parents and staffed by educators. Families can purchase tickets to the event and enjoy fun activities such as pony rides, bouncy houses, crafts, and carnival games. Raffle and dinner tickets are also available, and the event provides a great venue for families to enjoy fellowship with each other and their teachers. The Saint Anne’s Book Fair is held by parent volunteers in early December in the Parish Hall, and a portion of all proceeds goes directly to P.O.P.S. The event runs for two to three days, and families may shop any time during the day or at an early evening party. After school, children may enjoy musical entertainment or activities. The event offers many, many books specifically geared to our community as well as items such as jewelry, candles, and accessories from community vendors. The Spring Soirée is an adult party held by parent volunteers in April and is the largest of our school’s fundraisers. Parents and friends enjoy live music, great food and drinks, and a silent auction. Family or business sponsorships are available. Art available for purchase goes on display throughout the school during the weeks preceding the event, and one of the more popular items at auction are the Class Room Creations, made by Saint Anne’s students themselves! This is a terrific social event for parents, and its success is vital to P.O.P.S’ fundraising efforts. The Newcomer Popsicle Party welcomes new families prior to the first week of school in August. The event is hosted on the school playground by a parent volunteer and gives new parents and children an opportunity to meet and greet each other. 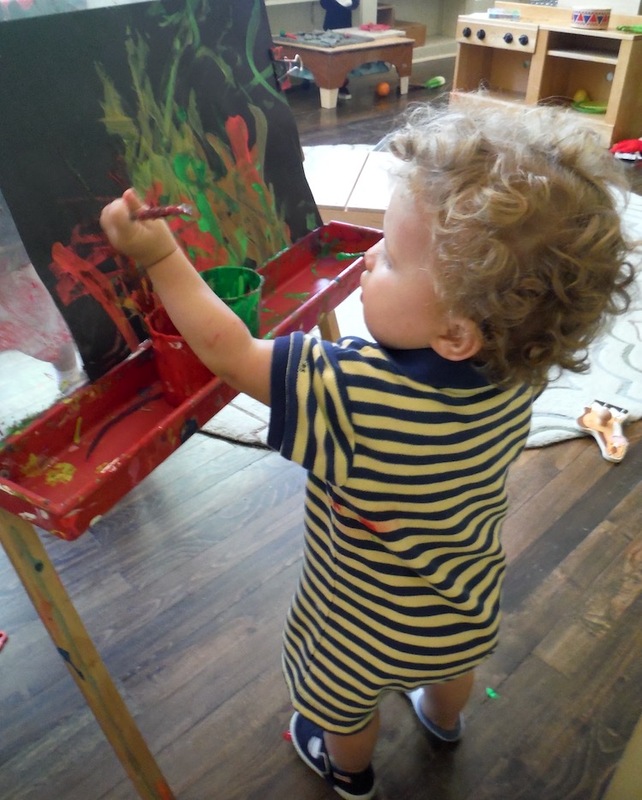 New Parent Orientation is a fall event for new parents to engage with other new parents and to learn more about the school and the Reggio Approach to early childhood education. Party on the Piazza is an adult social gathering organized by parent volunteers and is held in the Carol Maddox Forrester Outdoor Classroom following the school’s Classroom Visit Night. This is a wonderful opportunity to visit with families and educators. The Sweetheart Breakfast is held during school hours in the Parish Hall in February and invites fathers or other significant adults to share some Valentine’s fun with their young sweethearts in our Threes through Kindergarten classes. Parent volunteers organize the event. The Educator Appreciation Luncheon is held in May by parent volunteers to salute our wonderful educators as the school year comes to a close. Volunteering at school provides parents a great opportunity to get to know our community and helps to make Saint Anne’s the wonderful place it is! Below are a few examples of school volunteerism made available through P.O.P.S. Handwriting Without Tears is a fantastic program for our three-year-olds through kindergartners that allows parents to assist children in learning to write letters and numbers. This is a great way to interact in the classroom. Volunteers are needed to work with the children using materials provided by educators, and training for parent volunteers is made available in the fall. Individual Pictures of all our students are taken both in the Fall and Spring. Parent volunteers assist the photographers in capturing these little cuties. Faculty Birthday Cakes are brought in by parent volunteers twice a month to celebrate the birthdays of faculty and staff. Library Assistance is an excellent, peaceful way to assist in school operations by re-shelving library books. Research Group Lunches held after school enable educators to further develop their study of the Reggio Emilia philosophy, and provide parent volunteers an opportunity to show their appreciation by bringing lunch to school.